Followed all boards on Pinterest. 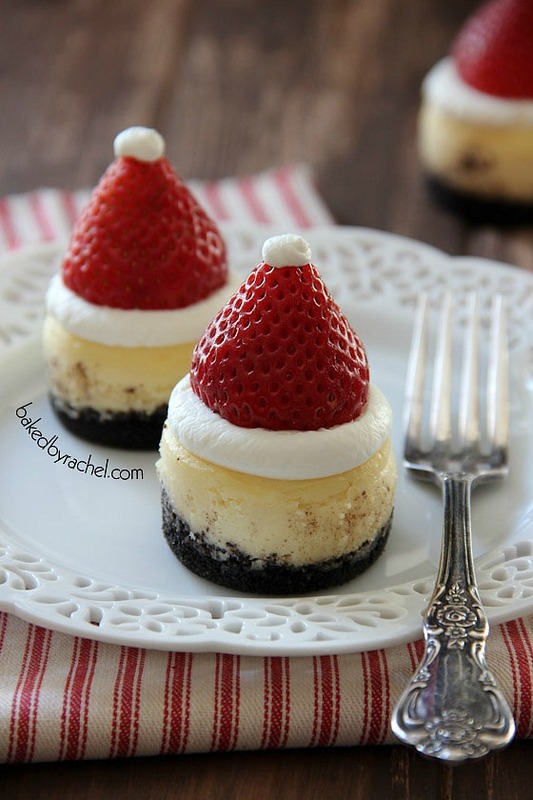 I want to make the mini Santa hat cheesecakes!! The white chocolate peppermint bark cheesecakes sounds the best for this time of year! These are adorable, Rachel! I still need a pan! 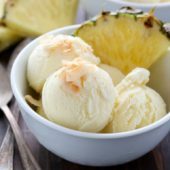 Shared on fb, followed on Pinterest and Twitter ~ everything looks soooo yummy! I’m going to try your Gingerbread Cheesecake .. can’t get more Christmasy something that tastes like Gingerbread cookies! Merry Christmas everyone! I am so excited to make the mini Santa hat cheesecakes! The Mini Santa Hats are so cute! 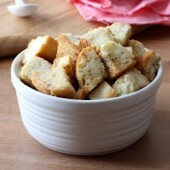 Pinned and “liked” – can’t wait to make!! Those are adorable would love to make them for christmas get together at my parents. would love to try the Mini Santa Hat Cheesecakes, would be great to take to my Sister in law’s for Christmas! Great giveaway! Love the Mini Santa Hat Cheesecakes! 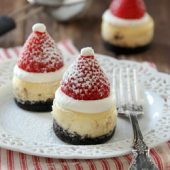 I would like to make the mini Santa Hat cheesecakes. I followed on Pinterest (and pinned), also on Twitter. 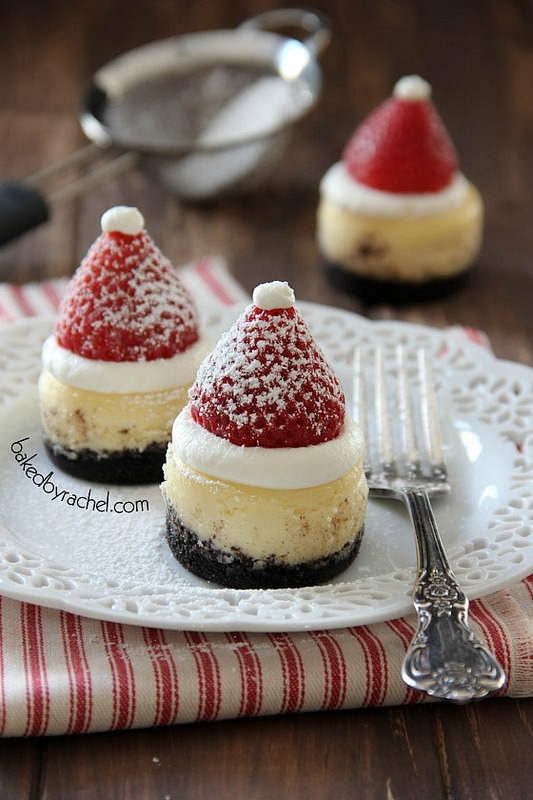 I cannot wait to try these Santa Hat Cheesecakes! I will definitely be making these Santa Hat cheesecakes for a Christmas party I will be attending next weekend. I am SO going to make these to take to my daughter’s house on Christmas Eve! She has the entire family over every year so I’m sure a dessert will come in handy! 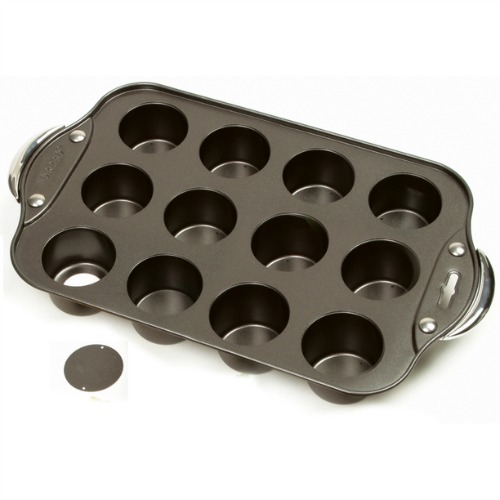 Hmmm…..better make two batches. 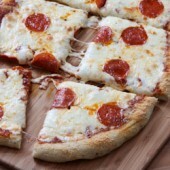 I want to try and make these. I want to try these exact ones for work! My colleagues would love ’em! 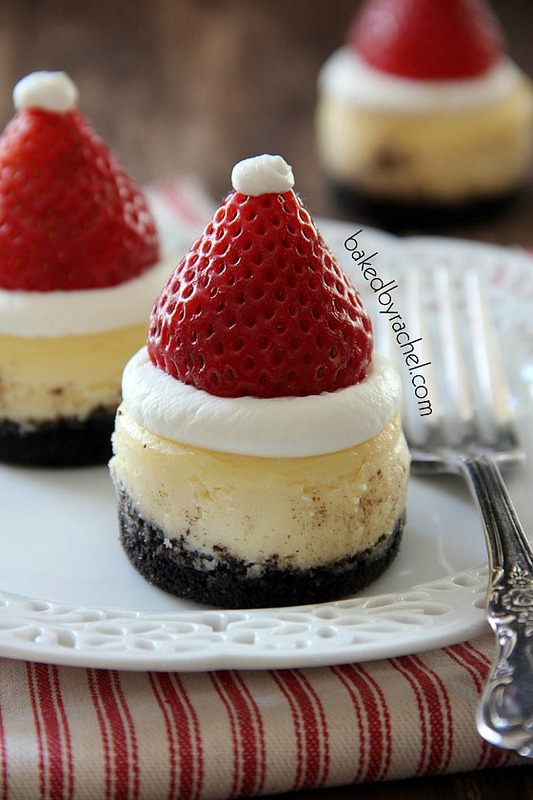 I am definitely making the santa hat cheesecakes….adorable!